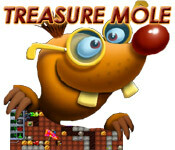 The objective of the Treasure Mole game is to help the Mole gather gold nuggets and destroy enemies . 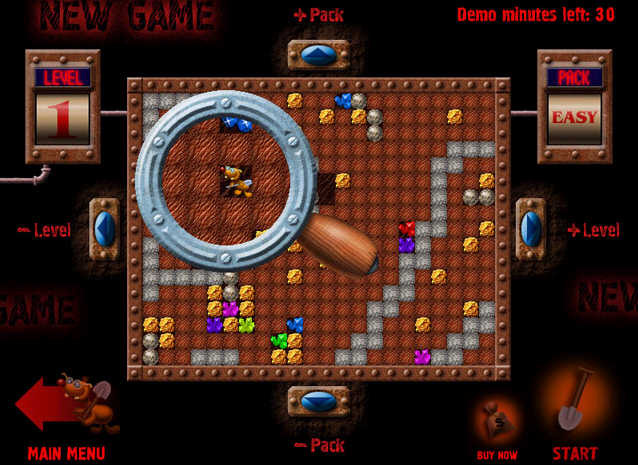 The objective of the Treasure Mole game is to help the mole gather gold nuggets and destroy enemies . 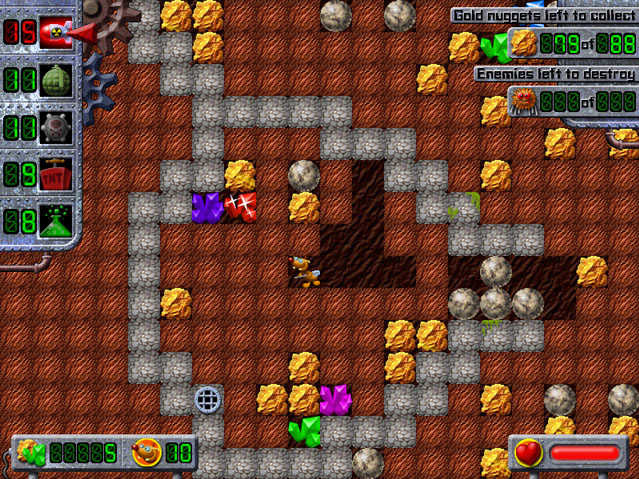 Each level requires gathering a certain number of gold nuggets and/or destroying a certain number of enemies. Panel in the right corner displays the objective for the current level. On his path, the mole will encounter gems and minerals , gathering which will generate additional points. The total amount of points and lives left is displayed at the bottom of the screen. The best players have a chance of making it to the Hall of Fame.